Oct. 24, 2016, 1:08 p.m.
By Shan Wang @shansquared Oct. 24, 2016, 1:08 p.m. The New York Times will pay more than $30 million to buy the much-loved gadget and technology review site The Wirecutter, Recode reported on Monday (The Times is also getting The Wirecutter’s sibling site focused more on home appliances and goods, The Sweethome). The Wirecutter was founded in 2011 by Brian Lam, an editor of the then–Gawker Media site Gizmodo, and has never taken venture funding. Its editorial mandate is meticulous reviewing, offering readers a small selection of only what its staffers deem to be the best stuff, and the site generates e-commerce revenue through affiliate links, getting a cut of the purchase price. The model was working: The site only posts a few dozen articles a month, according to a Bloomberg profile earlier this year, and is profitable. According to Lam, The Wirecutter drove $150 million in e-commerce transactions in 2015. Monday’s purchase will raise questions for some, at least, about whether the Times will now be raking in e-commerce revenue through affiliate links via Amazon, a company whose workplace it covered critically last year. But the Times has already been making headway with many new e-commerce efforts, including selling and delivering meal kits based on NYT Cooking recipes (and of course, you can always buy pricy items of questionable value at its online store). The Times’ move to buy The Wirecutter, though, contains echoes of the strategy it laid out in its most recent digital strategy memo from last October, which highlighted opportunities for the Times to offer useful information to readers beyond straight news. The newspaper has always provided a significant service role — helping readers decide what show to see, what book to read and what apartment to buy — and we believe we can add even more value on mobile. The effort to modernize our service journalism began with Cooking a year ago. Our goal was to use our content and expertise to address a specific need for our readers: what to cook for dinner. With almost five million monthly users, Cooking has been so popular with readers that we are expanding this service approach to other areas starting with real estate, health, and film and television. Together these efforts aim to reimagine our features sections for the mobile era with the same vigor and creativity that we put into launching them in the 1970s. The Times’ release did not make it clear the degree to which The Wirecutter’s content or brand would be integrated into the Times per se versus the Times Company more broadly. Does The Wirecutter become part of the tech coverage on NYTimes.com, or will it remain structurally independent? If the Times embraces e-commerce revenue more broadly, one could imagine it applying to other sectors where the paper has an extensive review commitment — including books, movies, digital services, and more. Congrats Twitter has been ablaze over the news. POSTED Oct. 24, 2016, 1:08 p.m.
Wang, Shan. "The New York Times is buying the gadget and technology review site The Wirecutter for $30 million." Nieman Journalism Lab. Nieman Foundation for Journalism at Harvard, 24 Oct. 2016. Web. 20 Apr. 2019. Wang, Shan. "The New York Times is buying the gadget and technology review site The Wirecutter for $30 million." Nieman Journalism Lab. Last modified October 24, 2016. 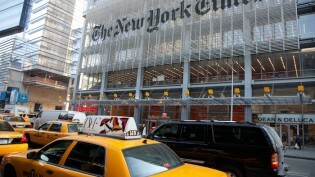 Accessed April 20, 2019. https://www.niemanlab.org/2016/10/the-new-york-times-is-buying-the-gadget-and-technology-review-site-the-wirecutter-for-30-million/.